Articles or information submitted exclusively to J Young Pharm undergo peer review process. Manuscripts not meeting the scientific standards will not be considered for the reviewing process. Editors request referees to advice on the scientific merit as well as the likely appeal since, the paper will have for broad Pharmaceutical researcher’s readership. 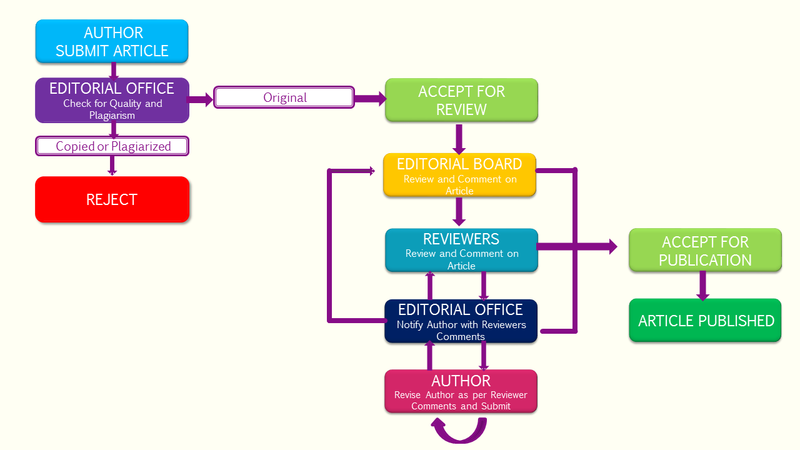 Editors usually give reviewers 21 days to complete their review process. Although editors always hope for a quick turnaround, this is not always possible. However, editors will be in contact with the referees once paper is sent to them, with weekly reminders of their due date. Once all the reviews are in-house, the Editor handling the manuscript will most likely make a decision within a day or two. The editor will then contact the corresponding author with the decision. The entire review process of the articles submitted to J Young Pharm is done online and digitally. Reviewers invest precious time in the belief that they are making important contributions to the scientific process. Author’s criticism or negative comments on reviewer’s comments will be subjected to the cancellation of publication. J Young Pharm follows communication only through e.mail.